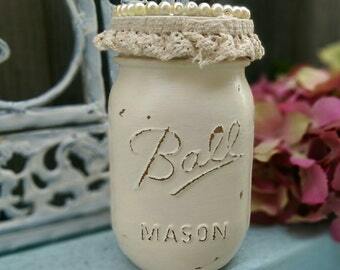 This is for one (1) hand painted shabby chic distressed/chippy paint glass mason jar, 5" inch high and 10.25" diameter (12 oz size). Straw ribbon and flower is optional. All background items, flowers, decor are props and not included. This is for jar only. 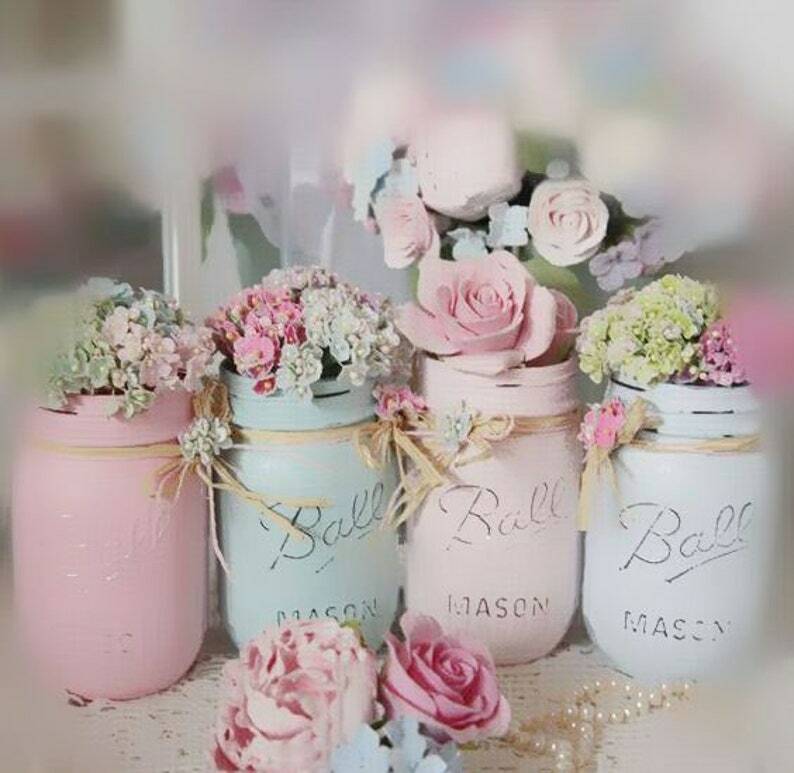 Shown in pink, light pink, robin egg blue, light robin's egg blue, baby blue, minty green, yellow and lavender. I CAN DO ANY AND ALL COLORS of your choice. If you would like a different color leave a note when you check out of your shopping cart, or you can message/conversation me directly. Depending on my stock at the time of order, I offer both Ball and Kerr brand jars. However, if you order more than one jar, they will be the same brand to match. Sometimes Etsy's postage calculator is off. If postage/handling is less then what you paid, expect a refund the day your order is shipped. I will make that promise to you. Lovely pale pink exactly as shown. Perfect. Lovely seller. Will buy from her again. Purchased many pieces from her and all perfect. A+ seller! 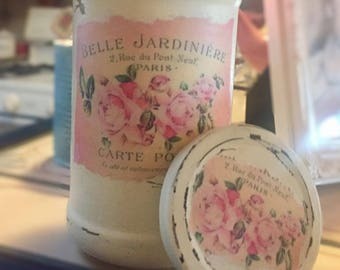 These are beautiful and the seller was super fast-I will be back for more! They are just beautiful!! 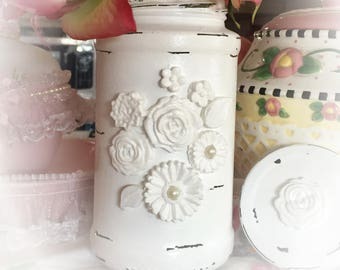 They are perfect for my daughters baby shower! !